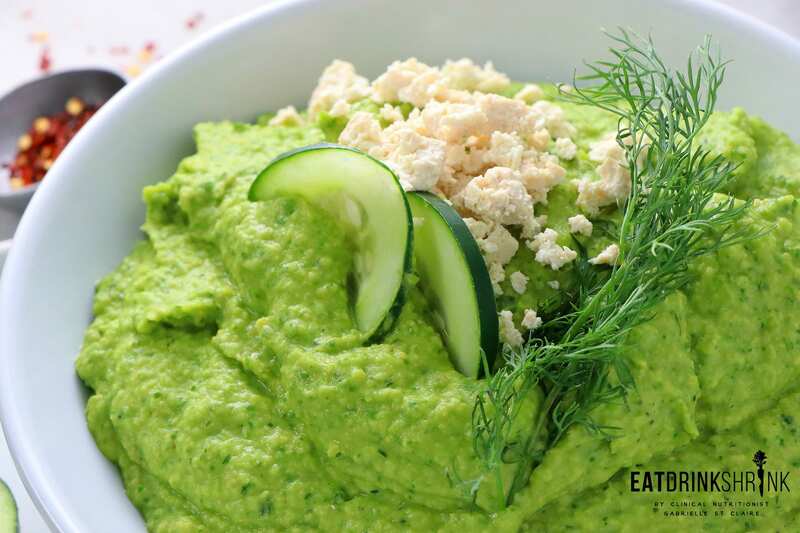 Vegan Cucumber Hummus - Eat. Drink. Shrink. 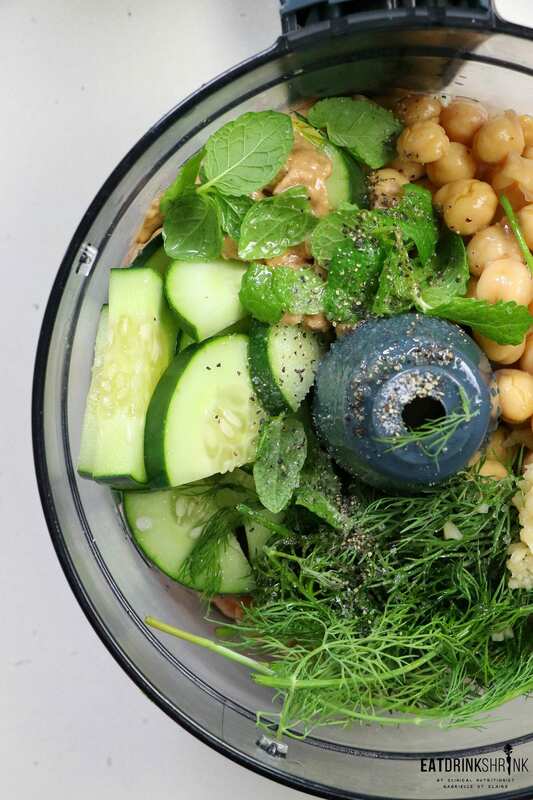 In keeping with the theme of effortless recipes, hummus is one of my perusal favorites. However, since I’ve been enjoying it for over 15 years I have to mix it up! 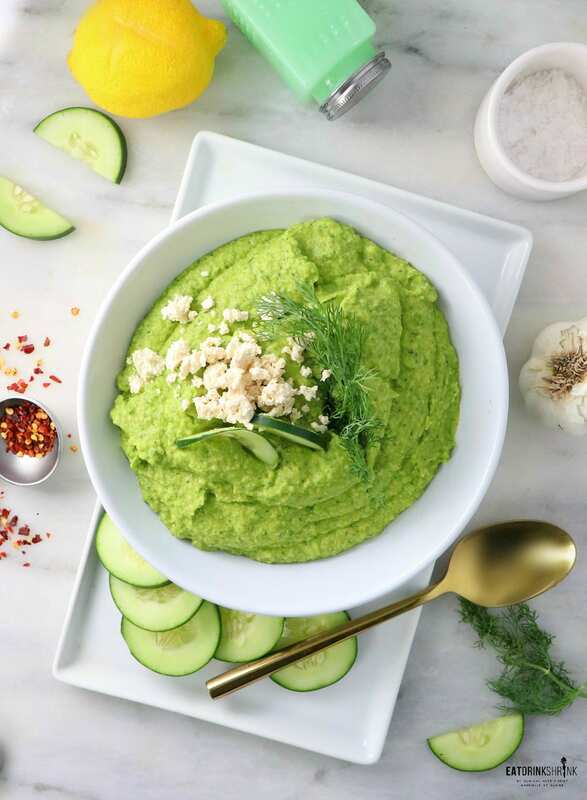 You can create a good hummus utilizing it’s staple ingrains, but you can make a game changing hummus by throwing in some modern ingredients! 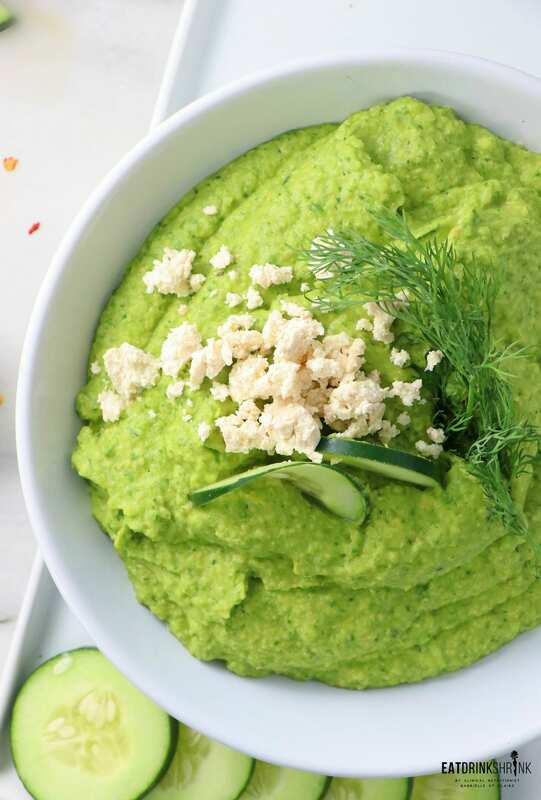 One of the few variations that’s been on my bucket list for a while is Cucumber Hummus! Given the large water content makes them ideal for summer, so I dove in headfirst and finally made this dish! What’s fab about this dish, is everything! It’s quick, easy, affordable, packed with spinach, has a hint of mint and dil. 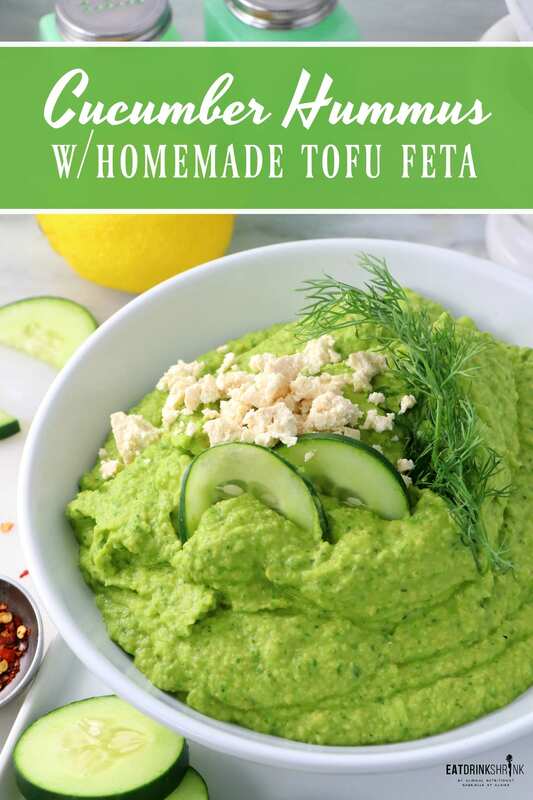 crisp cucumber, doesn’t spoil faster even with adding water rich cucumber (just be sure to refrigerate), pairs will with the tart tofu feta, is perf on sandwiches, and is the ideal summer hummus! 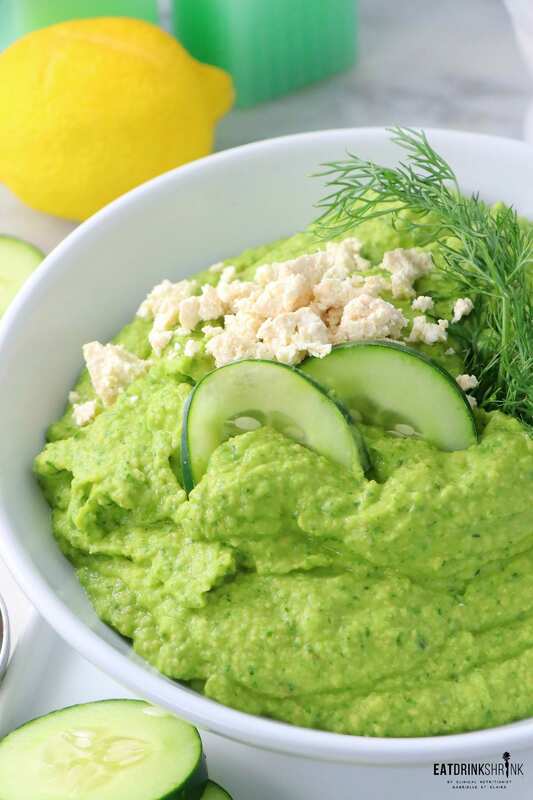 If you love fun modern hummus concepts, you have to try this vegan Cucumber Hummus! Throw everything in a food processor and blend until smooth! Garnish with dill and cucumber and my classic homemade tofu feta. Get the recipe on EDS! There is a link in the post.